Upon completion of this module, the participant should be able to contribute to the well planning process by understanding the reservoir engineering aspects of the proposed work and having a knowledge of drilling, workover and well servicing fundamentals, as well as work with the geologist and the drilling engineer to select well locations, target depths and casing points. Upon completion of this module, the participant should be able to evaluate the features, benefits and limitations of various mud systems and additives, and select the one most appropriate for a given well, as well as specify controls on fluid properties in order to optimize drilling and workover operations. Upon completion of this module, the participant should be able to: determine the volume, displacement and density requirements for cementing a casing string, select the cement additives appropriate to a given job, specify the casing accessories to be use on a primary cement job, outline the steps involved in cementing a string of casing, evaluate the results of a primary or squeeze cementing operation, and calculate the volumes and displacements required to set a cement plug. Upon completion of this module, the participant should be able to identify reservoirs that are suitable candidates for horizontal or multilateral wells, apply knowledge of the reservoir to a selection of the well trajectory, and select the best general completion design for a horizontal or multilateral well in a given reservoir. 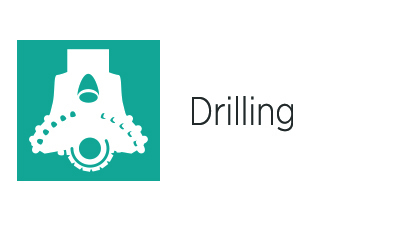 Upon completion of this module, the participant should be able to: review an initial well proposal and identify key drilling and completion objectives, gather and evaluate offset data and other information pertinent to the well objectives, document and evaluate indicators of potential drilling hazards and/or HSE risks, identify appropriate methods for predicting pore pressures, fracture pressures, and subsurface temperatures, and plot predicted pressures and temperatures versus depth, determine formation fluids to be encountered and potential contaminants, outline critical issues relating to surface location, including those related to logistics, safety and environmental protection and generate a budget-level estimate of dry-hole and total well costs. Upon completion of this module, the participant should be able to: select a surface location for a new well and establish an optimal target radius, pick casing points and specify casing and hole diameters for each drilled section, establish a well trajectory in keeping with overall drilling objectives, select casing weights, grades and connections based on consideration of maximum load conditions, determine general requirements for primary cementing operations, and specify wellhead equipment components and their working pressure ratings. Upon completion of this module, the participant should be able to: outline mud system specifications for individual hole sections based on well conditions and drilling objectives, establish basic well control requirements, specify circulating system requirements and evaluate hydraulics practices based on offset well performance, review offset bit performance as a basis for developing bit selection criteria for a new well, provide general recommendations for the drill string configuration and design of the bottomhole assembly, and review rig specifications and capabilities in the context of drilling program requirements. Upon completion of this module, the participant should be able to: optimize drilling performance through careful monitoring and analysis of well parameters, select bottomhole assembly configurations for various hole intervals and operating conditions, oversee routine cementing operations in shallow hole intervals, diagnose a stuck pipe incident and outline fishing procedures, and monitor drilling parameters for indications of abnormal pore pressure and take the appropriate initial actions in response to a potential kick situation.